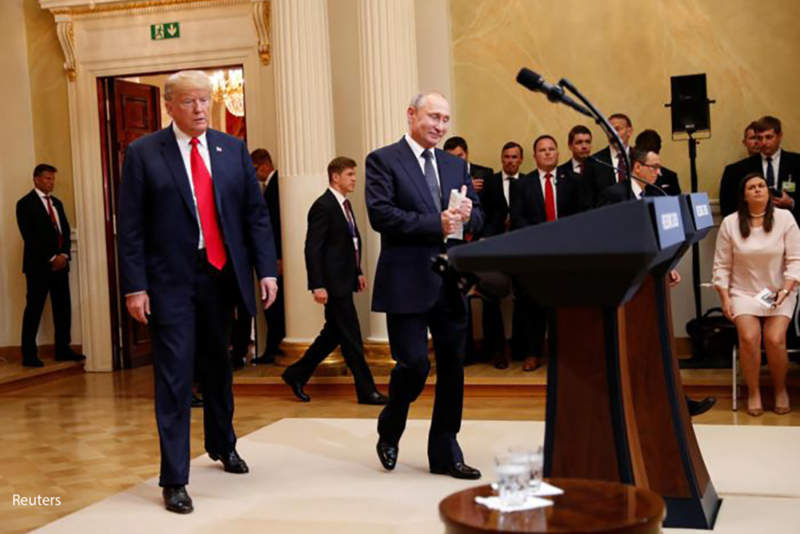 Here’s proof Trump’s supporters are members of a cult, not thinking Americans: 79 percent of Republicans approved Trump’s sycophantic performance at the news conference with Putin. 85 percent deem the investigation of Russian intrusion into our elections a distraction. Americans appalled by Trump and his deluded and evil supporters must devote all our energy to giving the Democrats control of Congress — and the ability to restrain this treasonous thug. To be a moral American in 2018 is to hate Trump. Turn that righteous anger into votes. Until Nov. 6, we must stay fanatically focused on that — on registering voters, turning them out, and directing money to Democratic Party candidates. Let’s turn our hatred of Trump’s evil into victory for good. Question for the young voters who didn’t bother last time: Does your discipline rise to the level of your discontent? Does your will? A large-enough showing by younger voters opposed to Trump will overcome the forces of gerrymandering and overwhelm the Koch brothers. Will you vote? Michelle Obama announced that her contribution to the midterms is building voter turnout. She understands there’s a lot of stand-up material but it takes us nowhere. Numbers of VOTES will decide our fate — and Trump’s. Trump won the presidency because of only 78,000 ballots in three states. Our nation’s fate hinged on a margin that small. Every non-voter counted. 1 out of 2 young voters didn’t even bother to vote in 2016. They get a do-over this NOV. Work to get these potential voters to the polls! In 2016, 40 percent of Americans who were eligible to vote didn’t. Clinton was much preferred by the youngest voters, ages 18 to 29. But fewer than 1 in 2 of them cast a ballot. If they don’t vote in a Democratic controlled Congress this NOV these young voters are traitors to no one more than to themselves. We older voters had a pretty good run. The younger voters who don’t vote this time are more or less committing suicide. They are going to spend the rest of their lives cursing themselves and living in a fascist ruin of a once great nation. The moral of Trump’s Helsinki treason and the lesson of his putting infants in cages isn’t only that Trump lacks any moral patriotic conscience, regard for our country or appreciation of history and our part in it. It’s also that this next election matters — immeasurably. We all (young and old alike) got it wrong in 2016. We can get it right in 2018. There’s only one way to contain Trump’s damage, and it’s both utterly straightforward and entirely effective. It’s called voting. From now until Nov. 6, we must stay fanatically focused on voter turnout. Volunteer, donate, register voters, and then VOTE the sorry pig and his cult followers into oblivion. How do we make our way back into love, beauty and creation? Discover my new book Letter to Lucy: A Manifesto of Creative Redemption—In the Age of Trump, Fascism and Lies, a multi-touch book about art, love and parenting, from the fall of the Byzantine Empire to the prophetic music of Green Day and everything in between. Read the first chapter for free on your kindle fire or iOS device. Available now on iBooks and Amazon. Previous Post It’s Time to Reject the Rich and Stupid: Send Trump, Elon Musk and Their Ilk a Message Next Post To Support Donald Trump is Treason. White evangelicals take note: If Trump is president because of “God’s will,” then your God must be a white trash, philandering, money-laundering, Putin-stooge, hate-filled, racist liar, too. Did Trump Organize the Fyre Festival — A Disastrous Failed Luxury “Music Event” — or did the Event’s “Organizer” Billy Mcfarland Become President of the USA? Security specialist Malcolm Nance, author of the Plot to Hack America, told a story about being in a barber shop in inner-city Philadelphia where several men said voting didn’t make a difference. He told them it makes a difference whether or not they could vote at all, or have better healthcare, affordable housing, etc. I’m encouraged the Parkland High School students are leading the charge to register more young folks. Woo Hoo! Voting can be the rock that changes the direction of the river. Vote folks! I am so happy to have found your blog. I been disappointed of where my country is going. While you’re touting ‘proof’ that Trump supporters are not thinking [whether or not they are Americans], I observe that the iconic photo displaying caged children under the Trump reichadistration was discovered to be from the Obama reichadistration. Do you see the irony here?